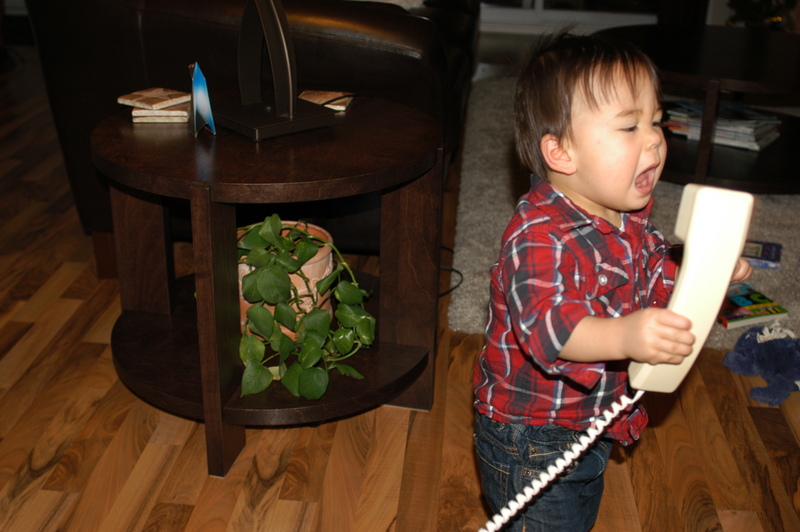 Connor quickly fell in love with my mom’s old style phone. He either really wanted delivery or he was going through a break up. Not sure he can’t talk yet.